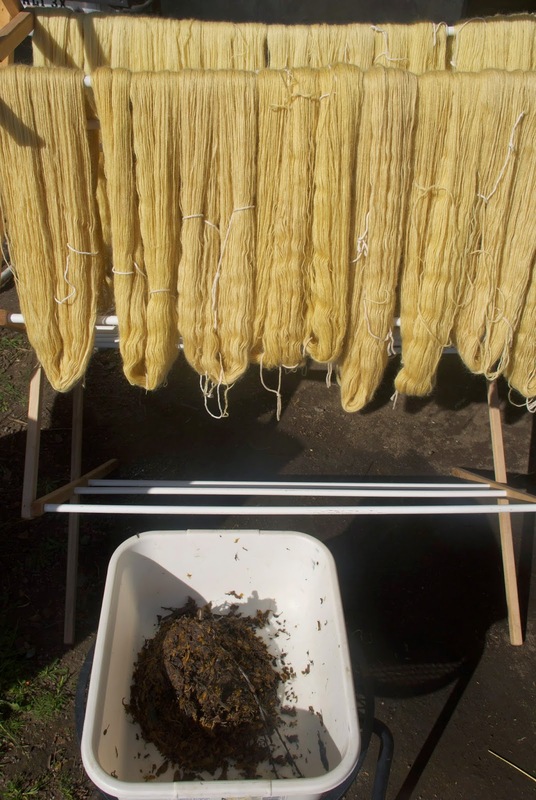 The stuff in the bucket is the scotch broom plant material after being cooked for dye, and the yarn above is the finished product. Those of you who live close by know that we are slowly reclaiming our property from scotch broom (Cytisus scoparius), an invasive plant that inhabits the west. When we bought our 50 acres, maybe 20 of them were covered in various-aged stands of this woody perennial. It can be anywhere from 3-15 feet tall, and each individual plant produces maybe tens of thousands of beautiful, brilliant yellow blossoms during it's season in April-June. Each flower produces approximately 10 seeds that eject from their pea-shaped seed pods once they dry out at the end of the bloom. In June and July, when the bulk of them explode, it can sound like a fire is crackling in the stand near our house. Although we are working each year to decrease the prevalence of this noxious plant, I have found a verifiable use for it: dye! Scotch broom is closely related to French broom, also called Dyer's broom (Genista tinctoria). I suspected I could get a dye, using the same instructions, and found that YES! I can! 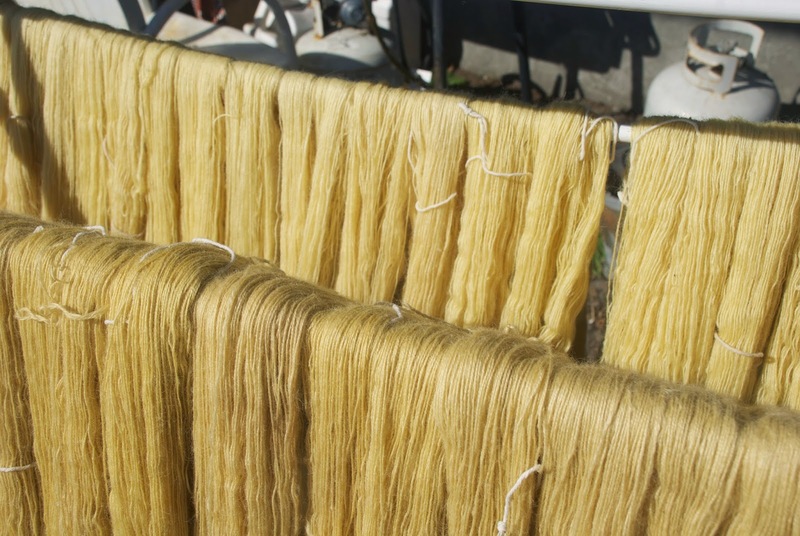 I collect branches during the height of the bloom and strip the blossoms off, and then dry them, and I can use them to create a pale, slightly green, yellow color for my yarn. Now that's local! Yarn in front is first dyebath, yarn in back is second dye bath. What the dye particularly lightfast?